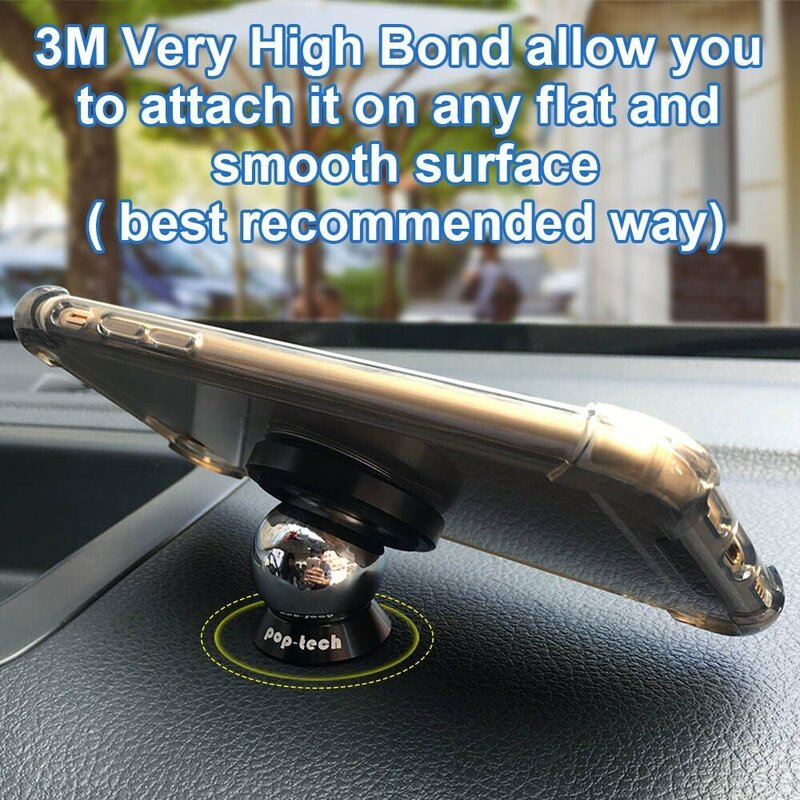 MULTIPLE USAGE: Not just a favorite car accessories for Uber and Lyft Drivers as a magnetic car mount holder for navigation and answers phone calls, also used it to any horizontal surface at home, office desktop, kitchen counter . 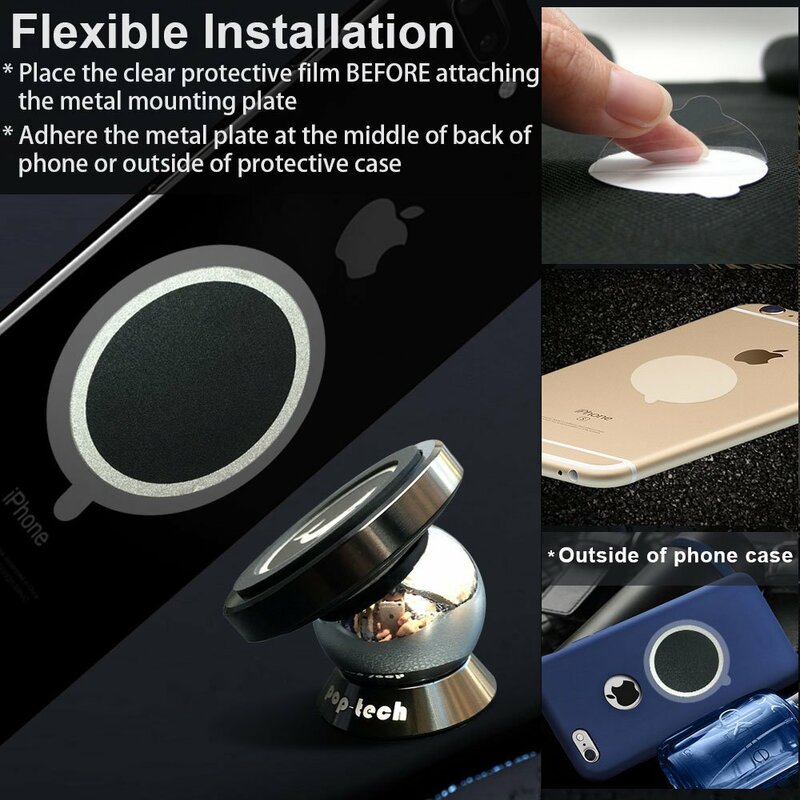 UPGRADED MAGNETIC DISK: Extra original 3M brand adhesive and enlarged anti-slip silicon mat of this mobile phone car holder ensures your mobile device safety in multi-horizontal surfaces. ENHANCED NEODYMIUM MAGNET: This lil gadget with awesome whale design keeps your phone/GPS safely in view without holding the phone. For customers with larger phones, please apply the clear film at the MIDDLE of back of phone or out of protective case before sticking the mount metal plate. 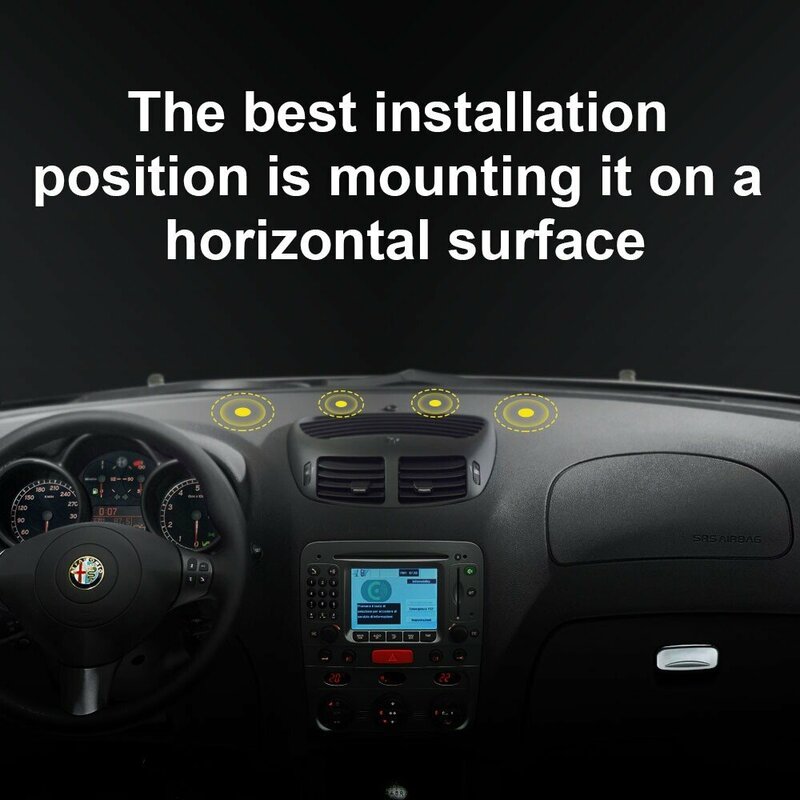 Do be aware you need a horizontal surface in the correct spot for mounting. PERFECT 360 DEGREES VIEWING: You can adjust this functional swivel ball mount to whatever direction you desire. 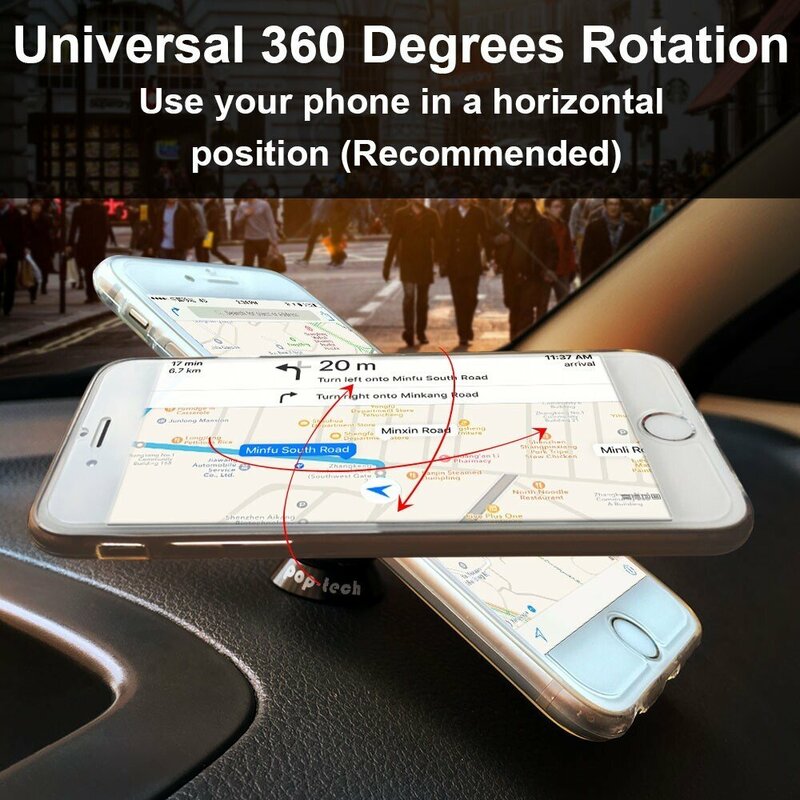 This 360 magnetic phone mount for your car allows to get the right angle, so you can keep your phone screen in full review. This mobile holder comes with 4 round metal plates which can be used for different devices(tablet, gps device or mp3 player) . IMPRESSIVELY COMPATIBILITY: This smartphone car mount supports mobile phones of all sizes, such as for iPhone 7 plus SE 6 6s Plus 5 4s,Samsung Galaxy S7 S6 edge S5 S4 Note 5 4 3 2, HTC 10 One M9 M8, Moto G4 Plus G4 Droid turbo, droid maxx, LG G5 G4 G3 Nexus 6 7 Google Pixel etc. 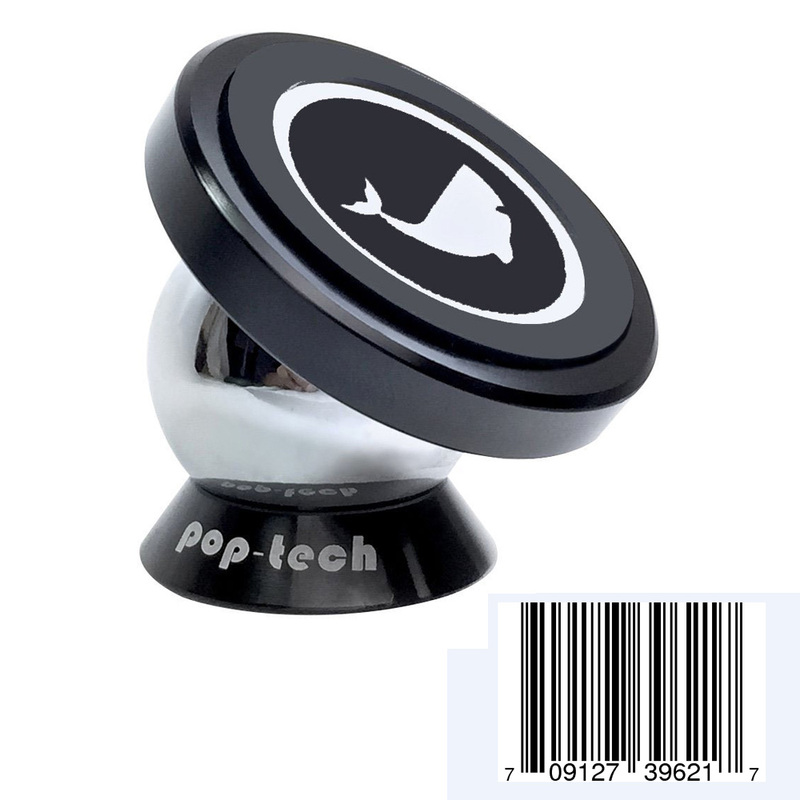 Buy 7 This Pop-Tech Mounts, Get 3 FREE! Add 10pcs Mounts to your cart. Enter code WHALE3T7 at checkout. Buy 5 This Pop-Tech Mounts, Get 2 FREE! Add 7pcs Mounts to your cart. Enter code WHALE2T5 at checkout. 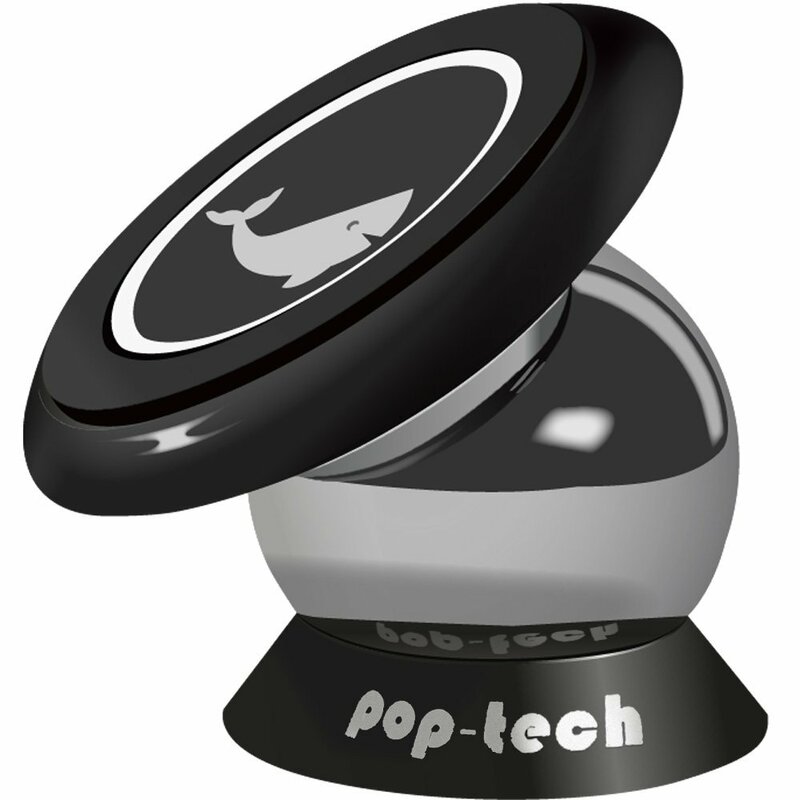 Buy 3 This Pop-Tech Mounts, Get 1 FREE! Add 4pcs Mounts to your cart. Enter code WHALE1T3 at checkout. Buy 2 This Pop-Tech Mounts, Get 15% OFF! Add 2pcs Mounts to your cart. Enter code WHALEU15 at checkout. Buy This Mount and Save 15% OFF on Pop-Tech Metal Plate 4 Pack. Enter code WHALE415 at checkout. Buy Mount Plates 8 Pack and Get 15% OFF Car Mount (ASIN: B00RBBTC50). Enter code MOUNTM15 at checkout. 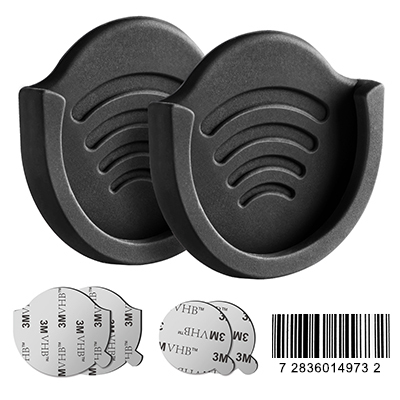 Buy Mount Plates 4 Pack and Get 15% OFF Car Mount (ASIN: B00RBBTC50). Enter code METALM15 at checkout. Buy This Mount and Save 15% OFF on Pop-Tech Metal Plate 8 Pack. Enter code WHALE815 at checkout. 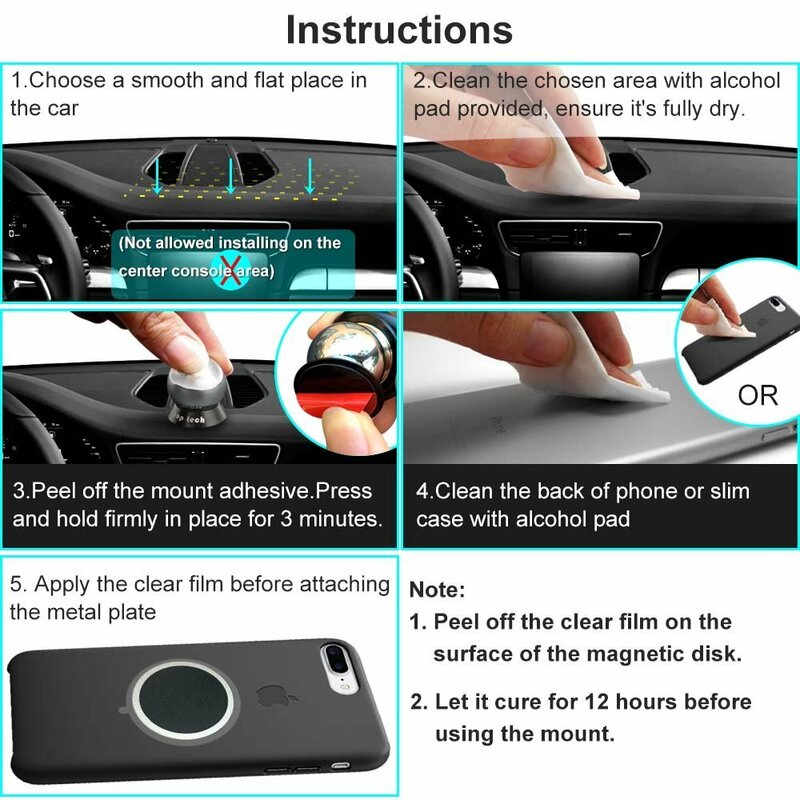 3.This car dash mount comes with EXTRA 2 clear films to avoid attaching anything directly on your phone. 1. Clean a flat and smooth place with an alcohol pad, wait until dry. 2. Split off the adhesive of car mount base, then mount it to the flat place. 3. Press it firmly in place with 15 seconds. Wait for 12 hours before use! 5. Finally place your phone over the magnetic round disk and let go. NOTE: Each 3M adhesive Tape can only be used once. Question: I have a leased vehicle. Can this be removed when I get a new car? Answer: Yes. It will eventually peel off from the heat in the car, as mine did. I would say yes, just clean the spot with rubbing alcohol to remove adhesive. Amazon has replacement kits for new car. It is easily removed. And leaves no marks with some cleaner. Question: How does the 3m vhb tape hold up when its 98 outside and the car interior temp is 106? specifically on an inclined surface. Answer: I have found it does not. So I do not use this cell phone holder changed to one that sticks in my CD exchanger. Rather a waste of money. I live in Arizona and the temp inside my car during the summer is above 120... It held up well during the summer temps. I also used a sunshield in the window to divert the heat. Question: Will the adhesive adequately hold the base to the windshield? Car Grips Mount for Phone Stand, pop-tech 2 P.
Mobile Phone Car Mount, Pop-Tech Universal Ma.